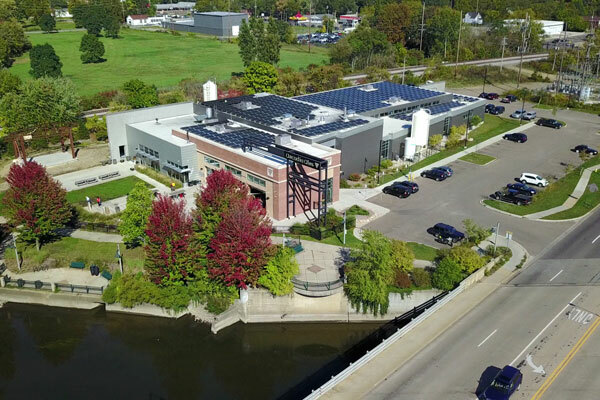 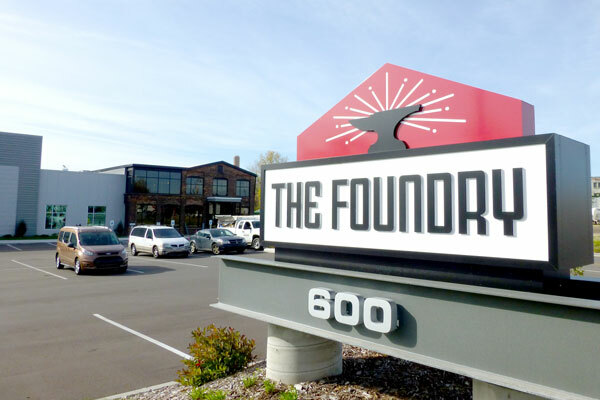 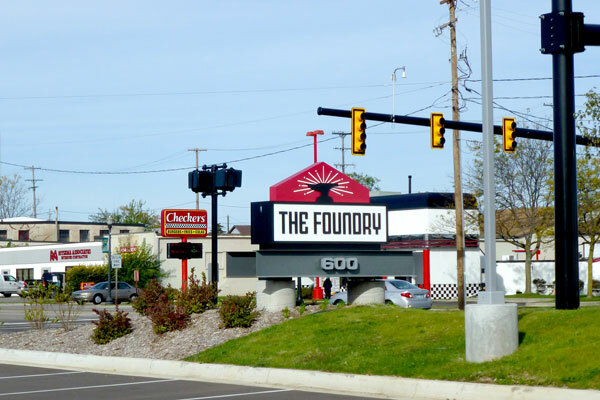 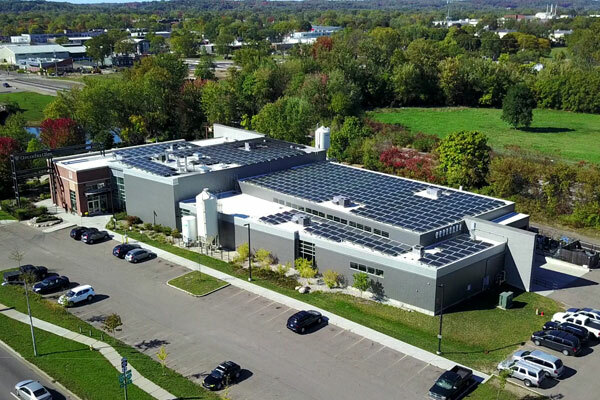 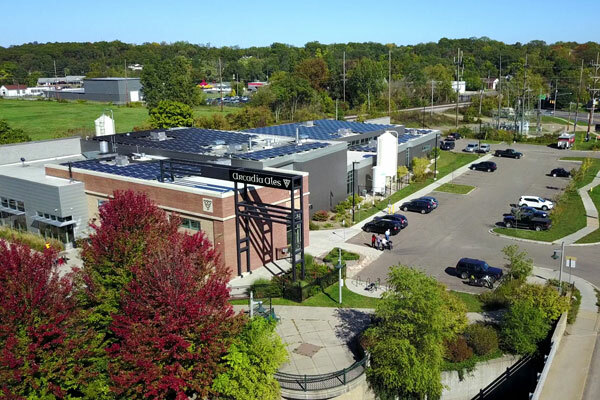 This award-winning project involved rehabilitating the old Kalamazoo Foundry and Stove building into an open space collaborative office complex. 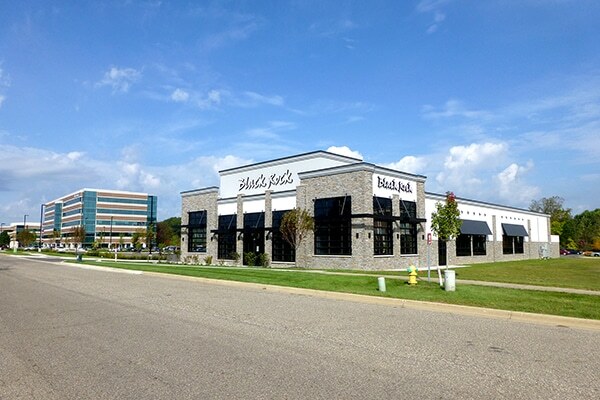 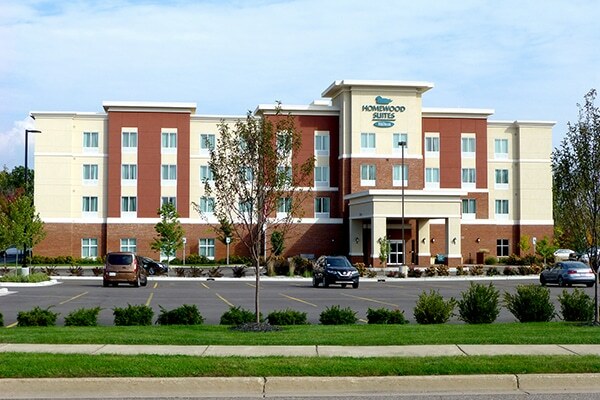 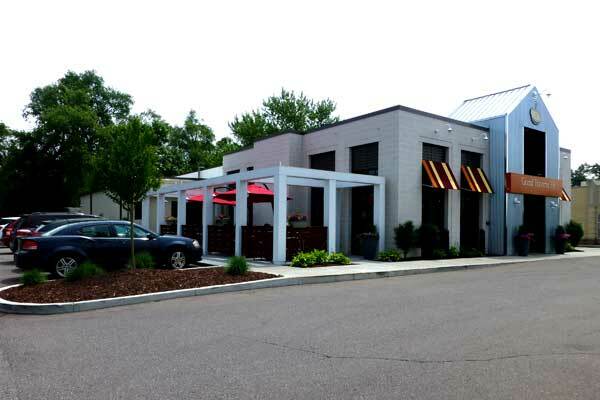 H&S worked closely with many stakeholders to help the owners vision come to life. 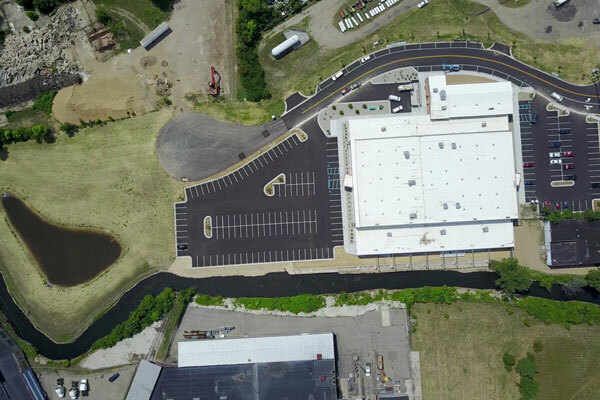 MDOT, MDEQ Floodplain, MDEQ Wetlands, RR Coordination, City of Kalamazoo, Brownfield Authority, and the MEDC were all heavily involved in the project and H&S navigated them through the project. 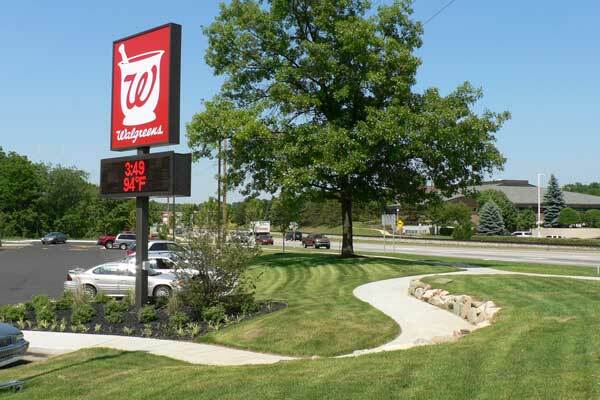 Store contaminated soils onsite in a safe, and cost-effective way. 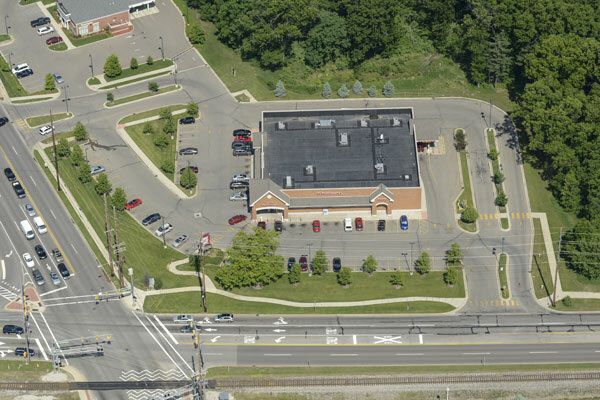 ¼-mile public road, public riverside park, and over 300 parking spaces. 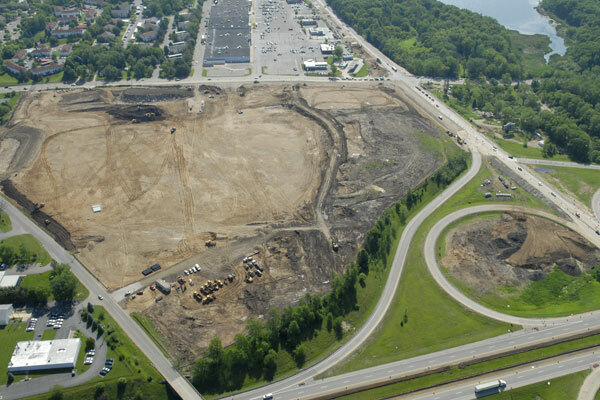 Developed comprehensive stormwater management area for development. 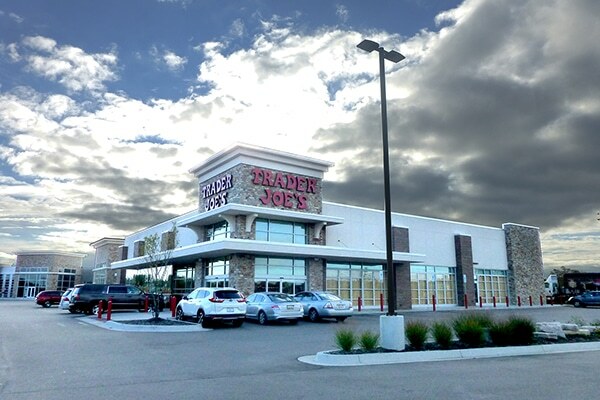 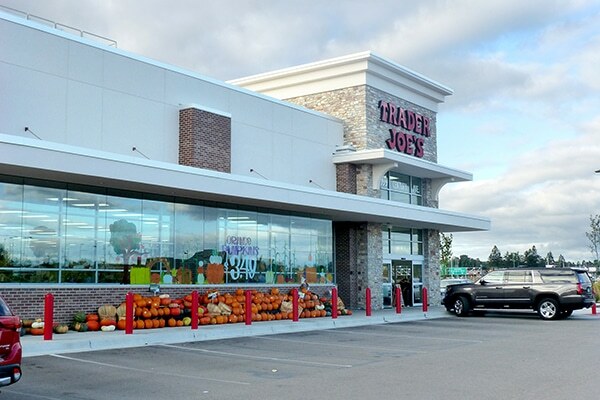 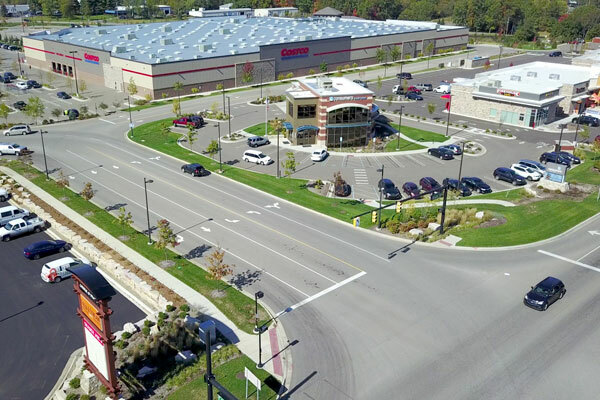 The Corner @ Drake involved the transformation of a 38-acre dilapidated residential community into a premier commercial development anchored by Costco, Field & Stream and Trader Joes. 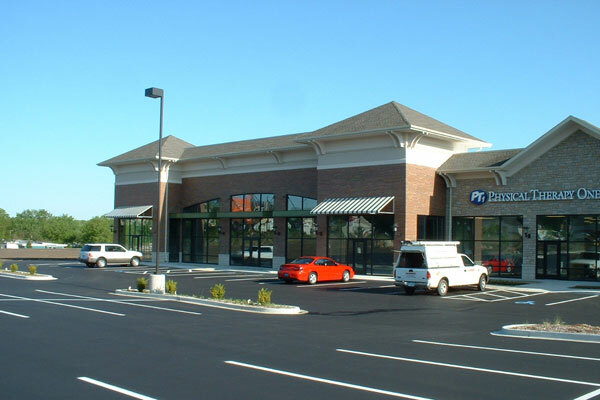 There are also 3 banks and 4 other buildings mixed in to create a destination for shopping, eating and banking. 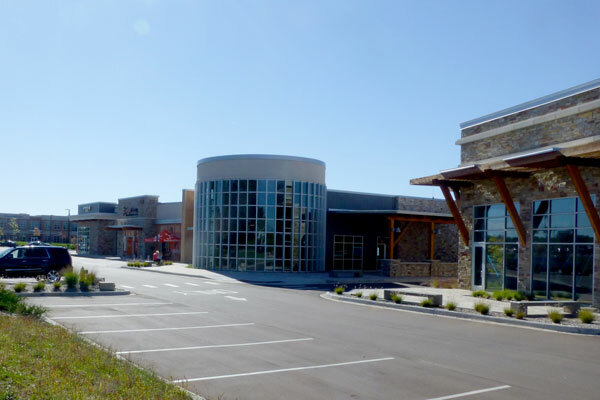 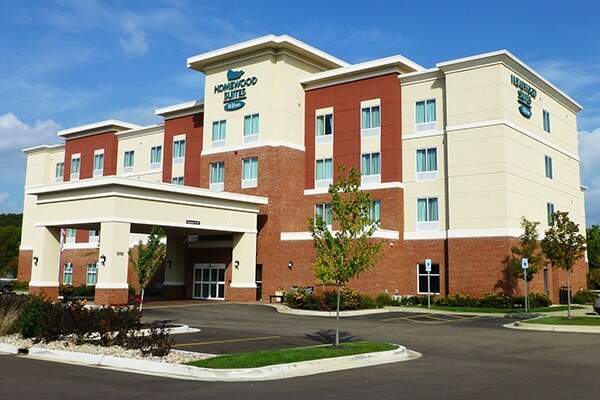 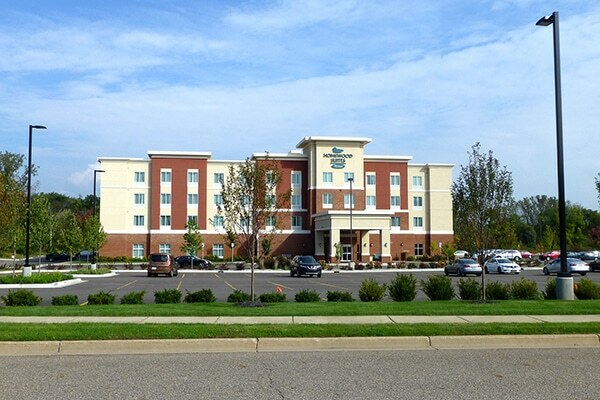 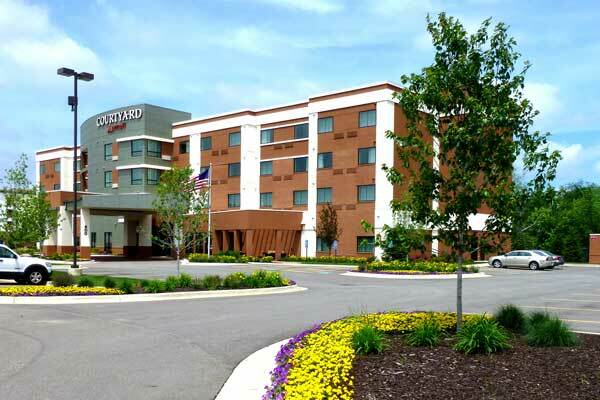 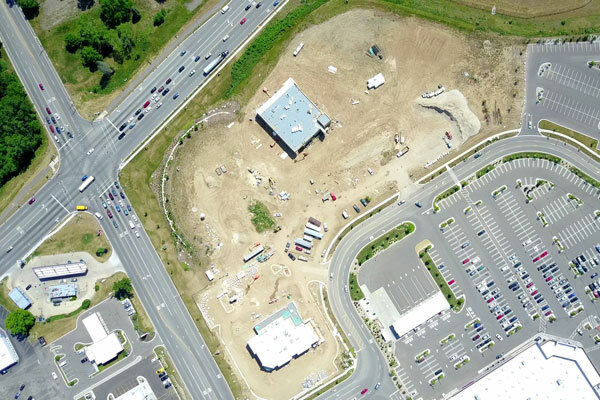 H&S performed all of the Surveying, Engineering and Master Planning. 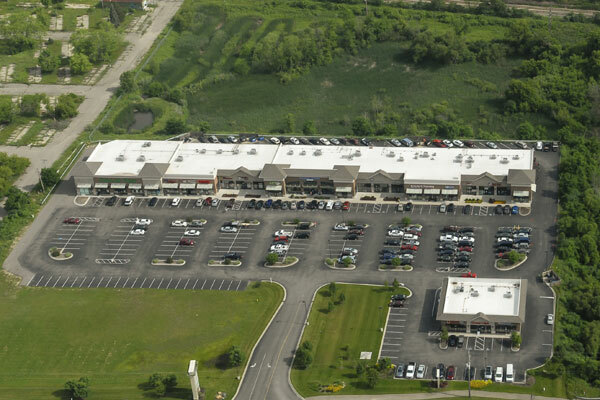 9 commercial outlots, over 270,000 sft. 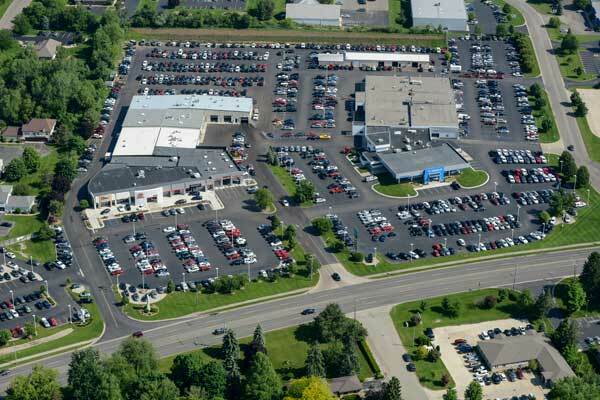 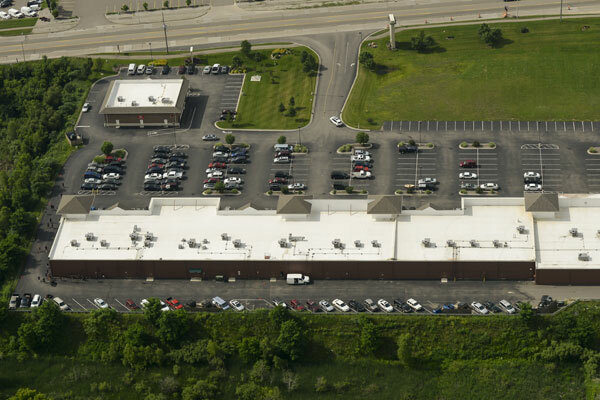 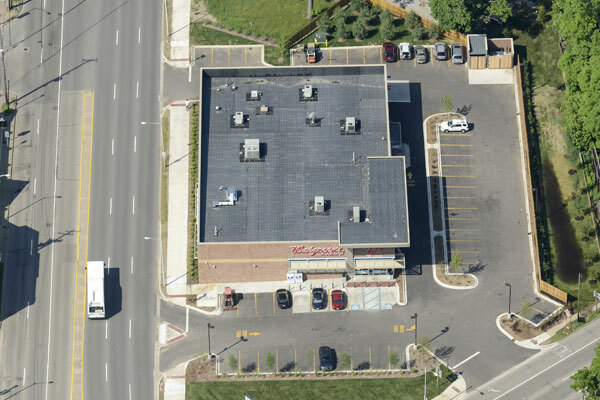 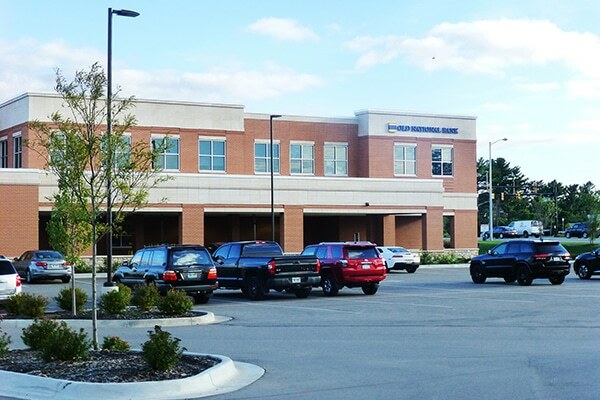 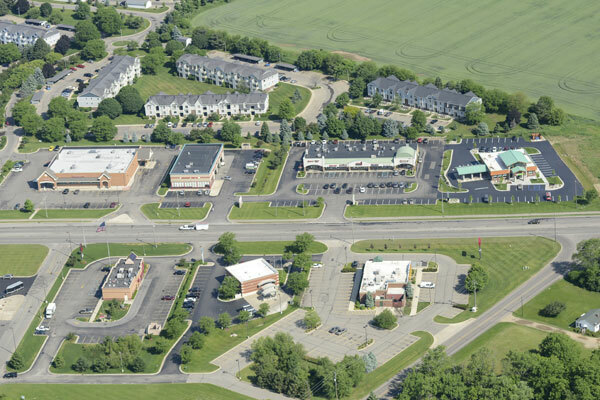 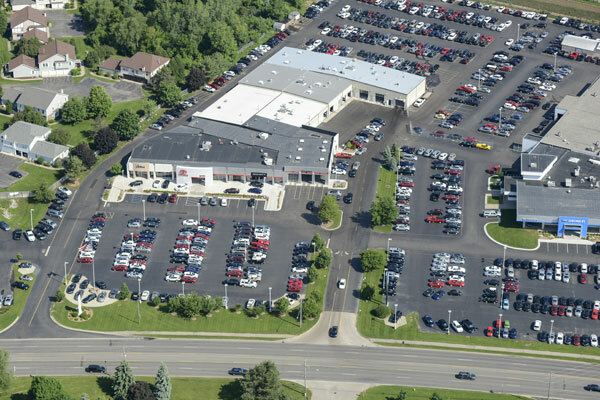 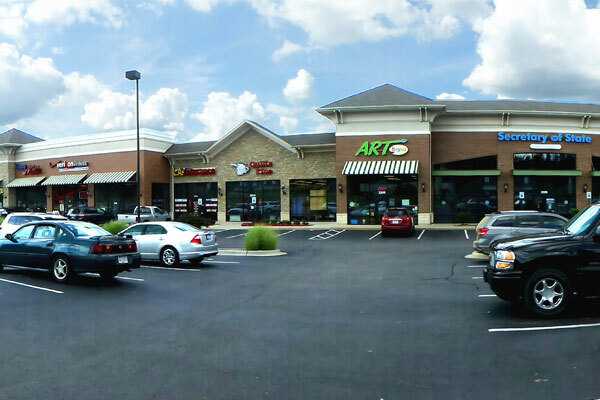 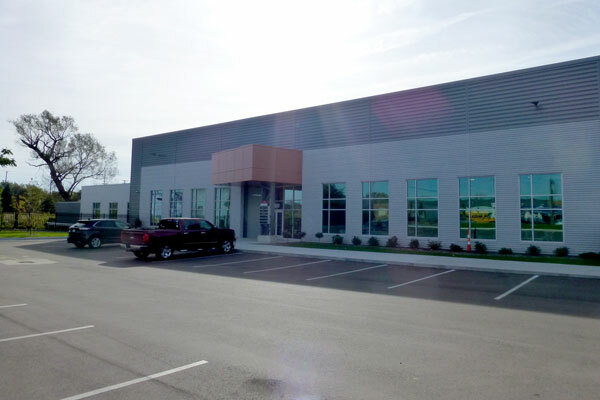 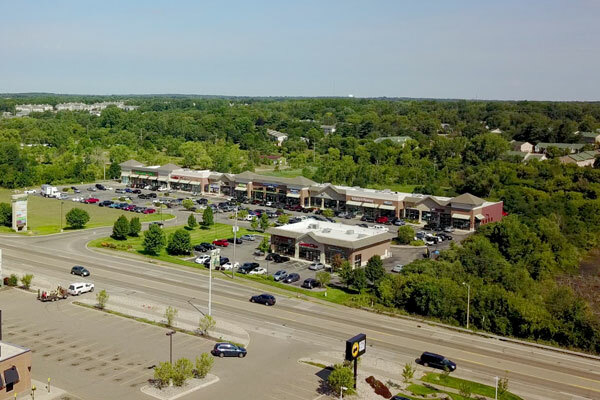 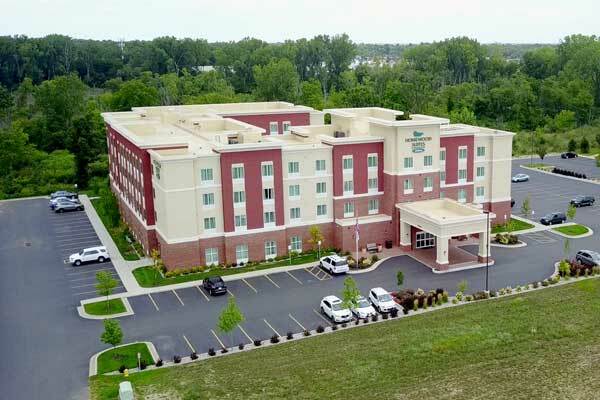 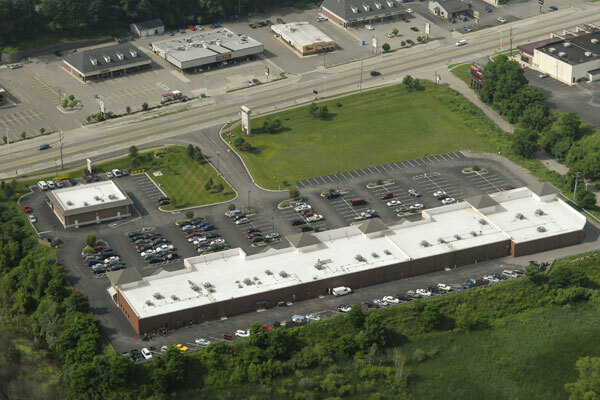 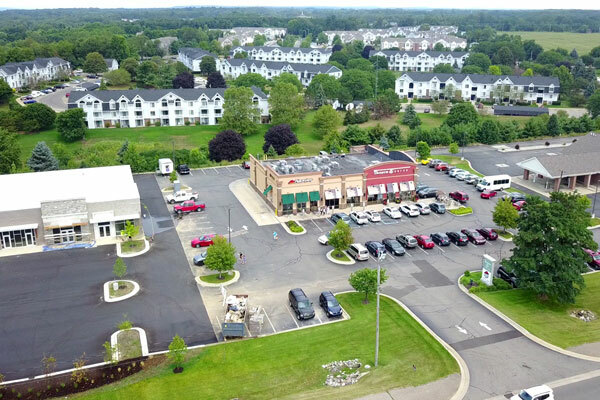 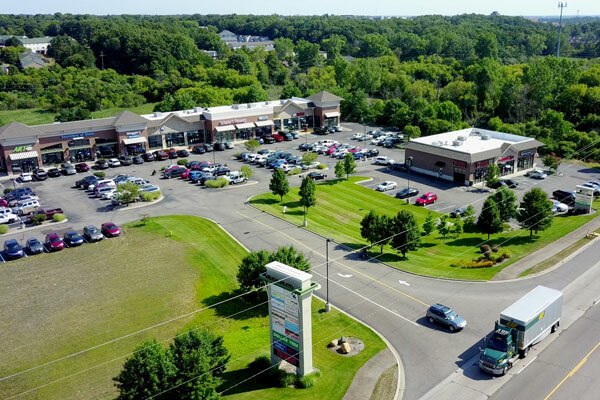 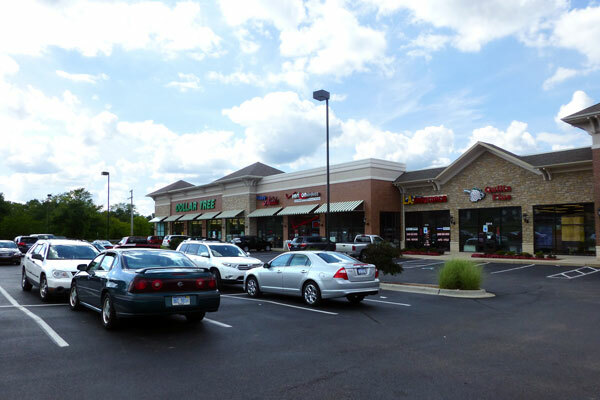 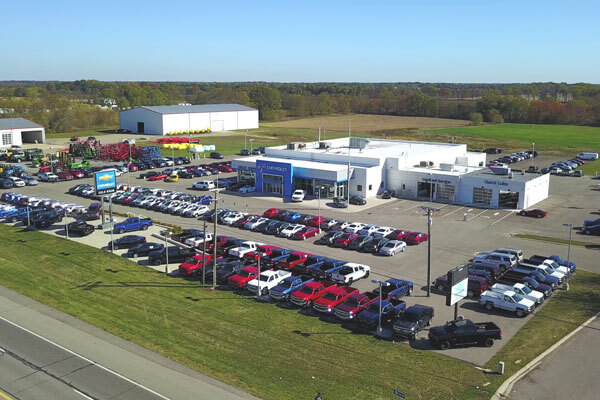 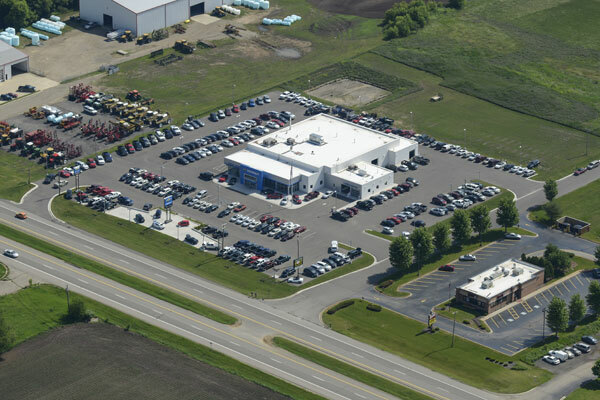 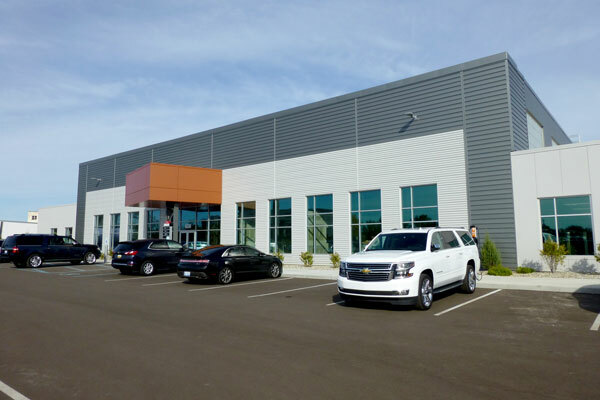 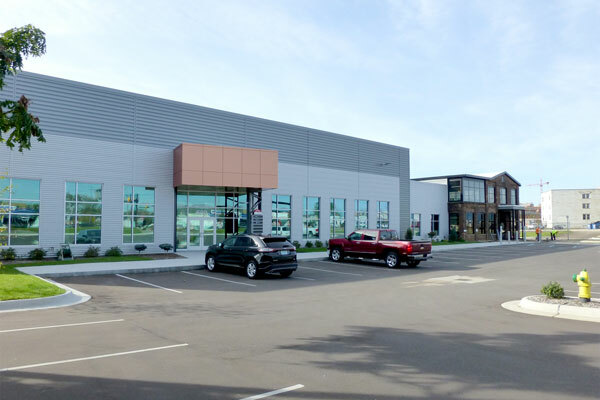 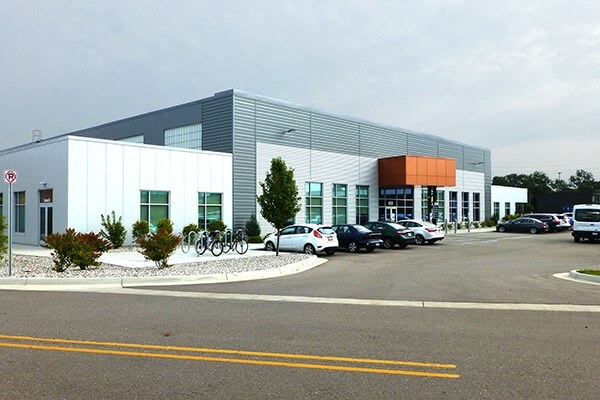 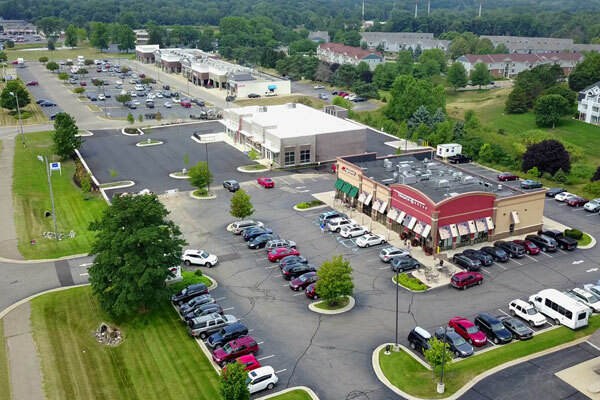 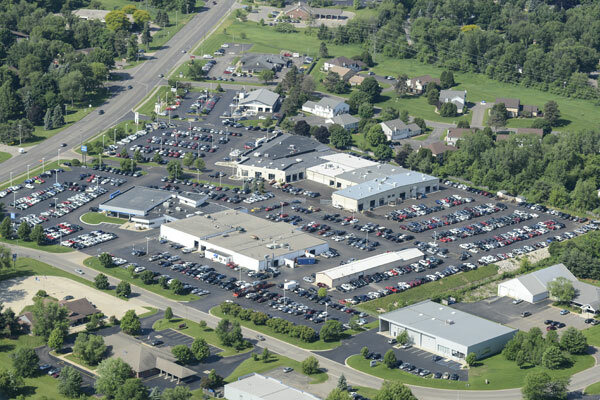 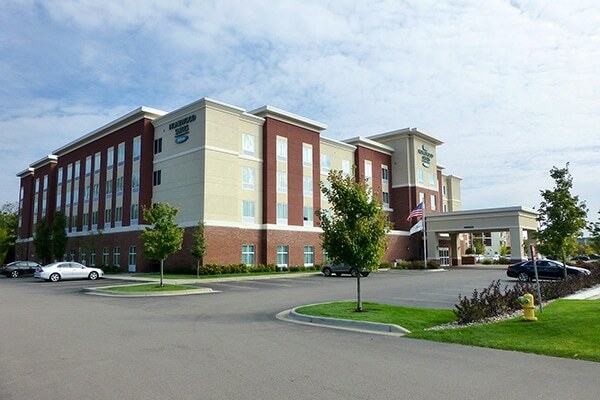 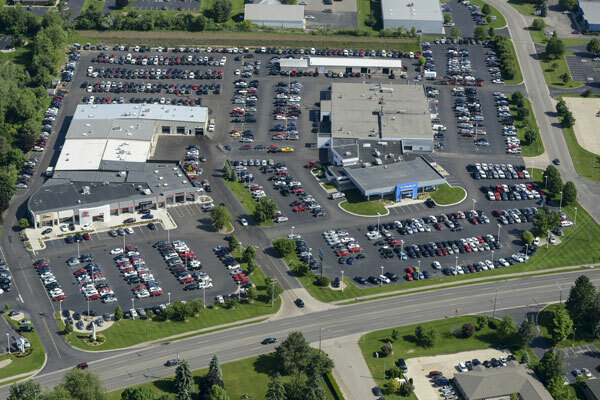 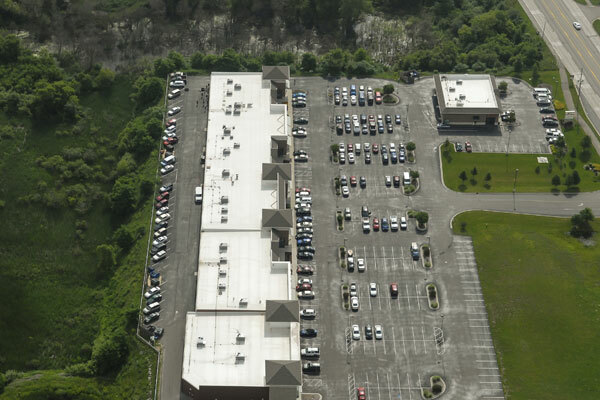 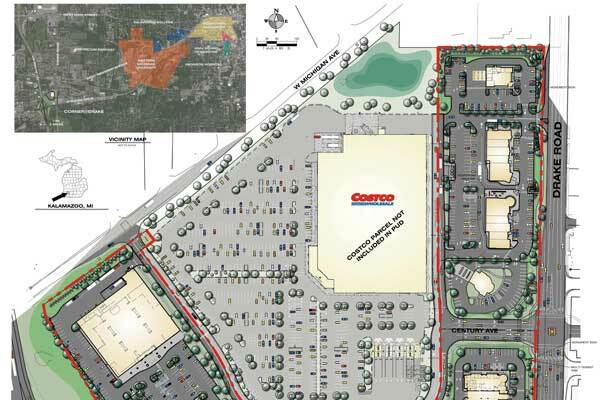 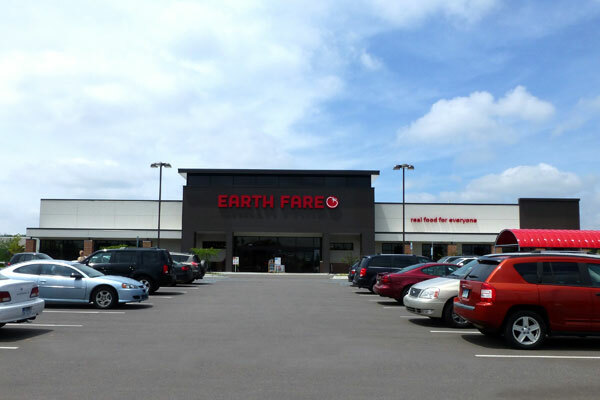 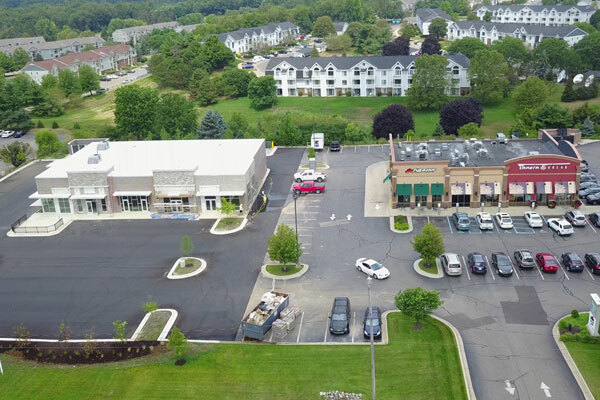 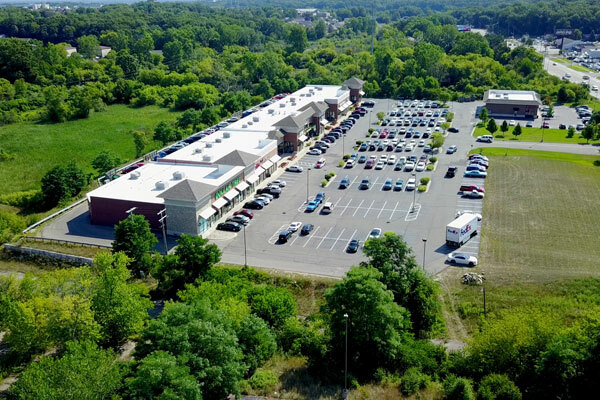 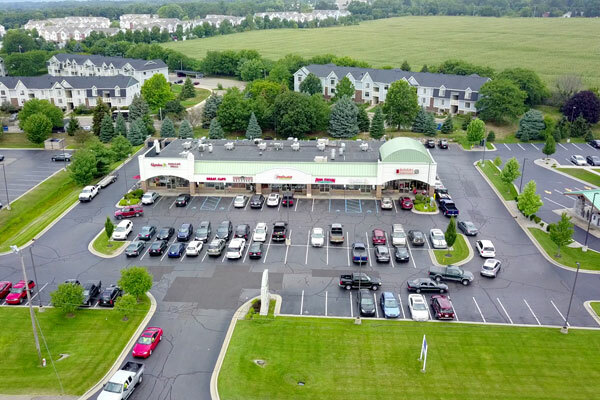 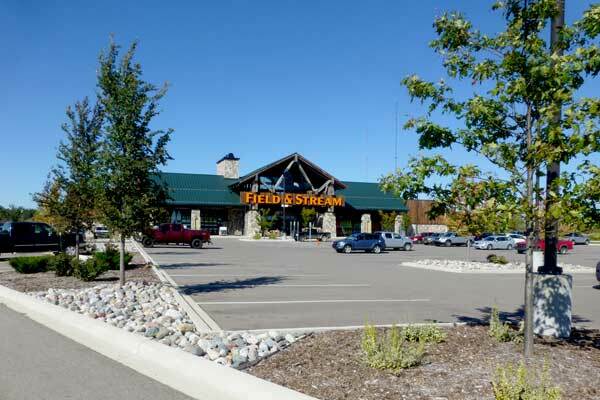 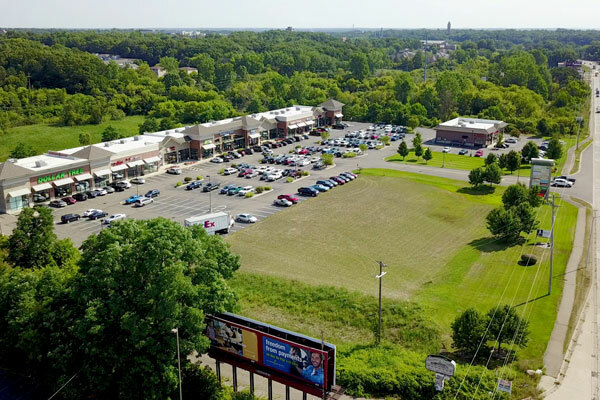 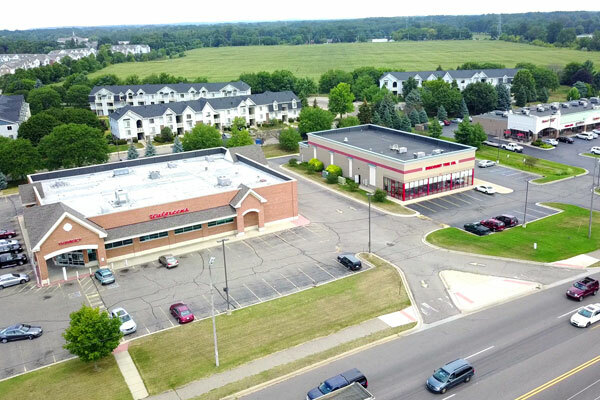 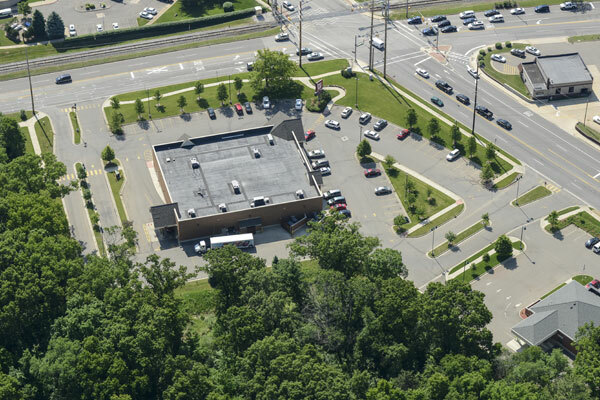 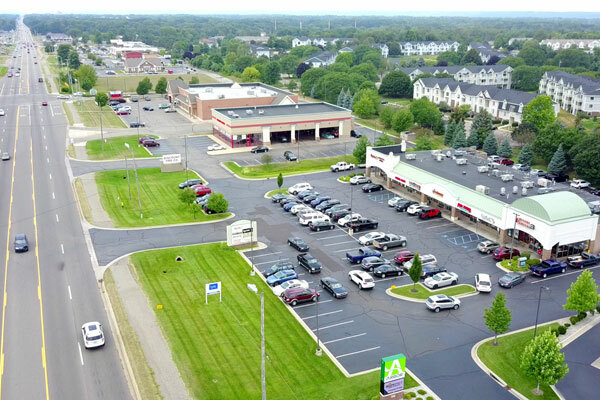 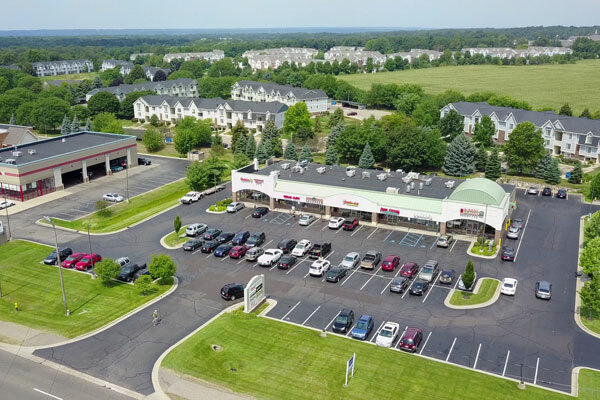 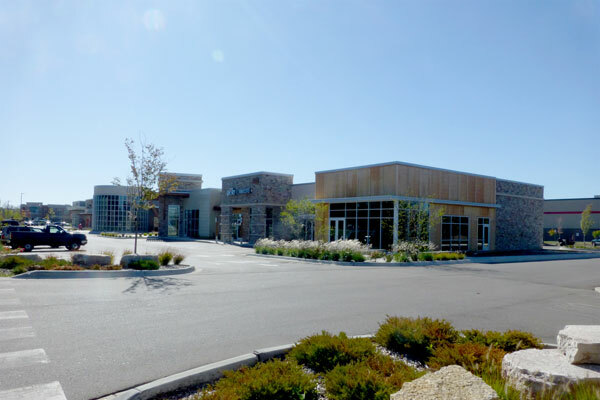 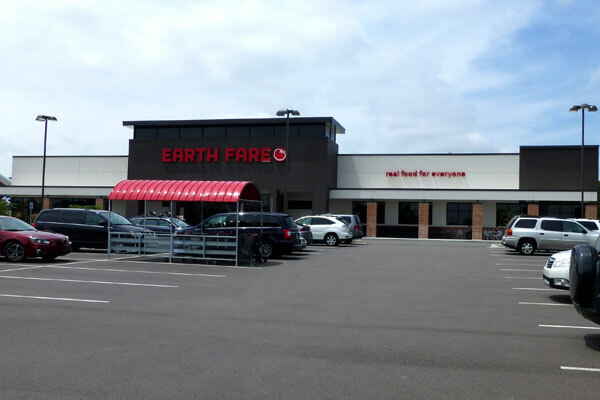 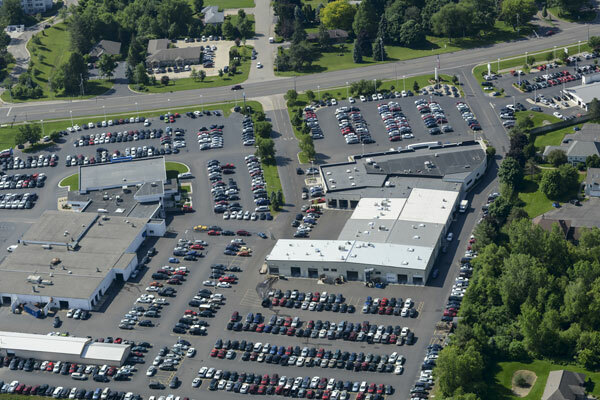 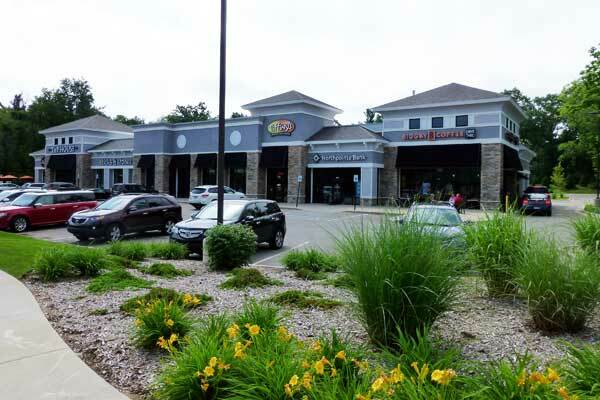 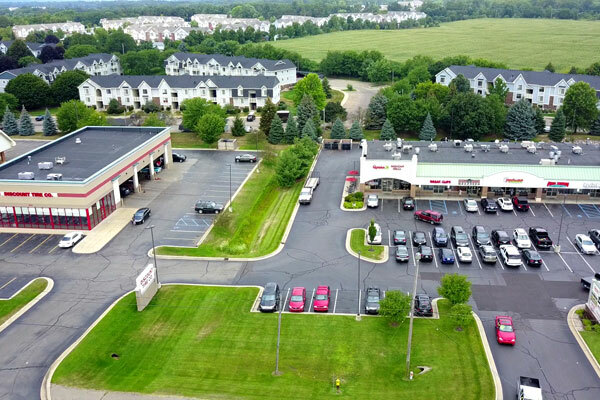 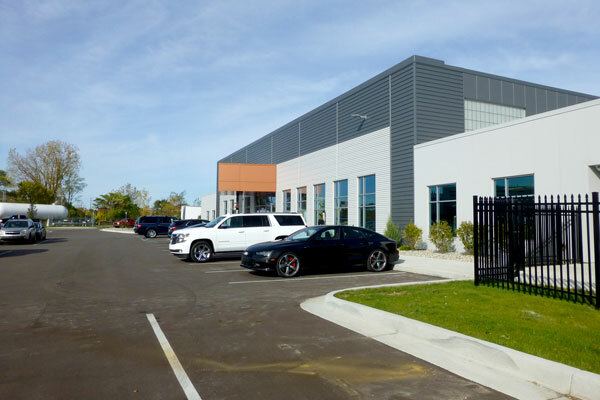 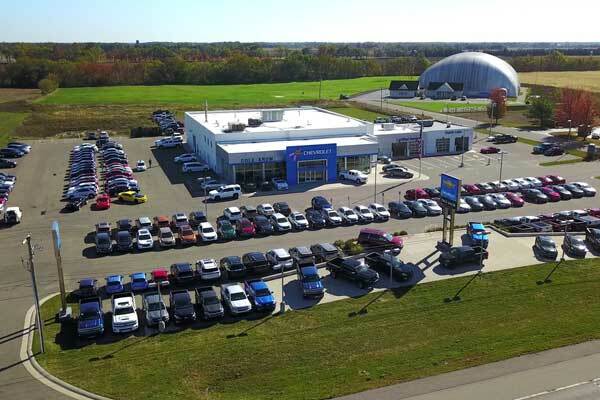 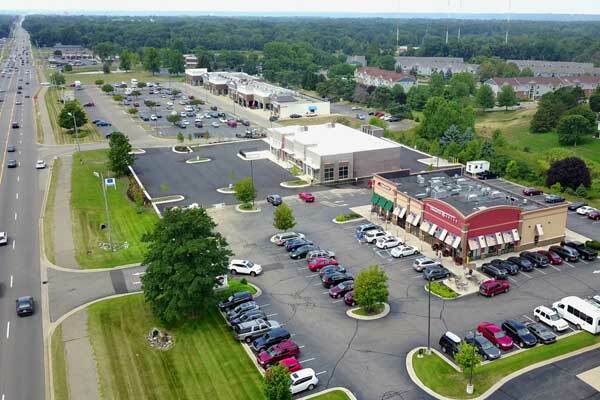 commercial building space, in excess of 1700 parking spaces, ½ mile of public infrastructure, and approximately 16 acres of private infrastructure. 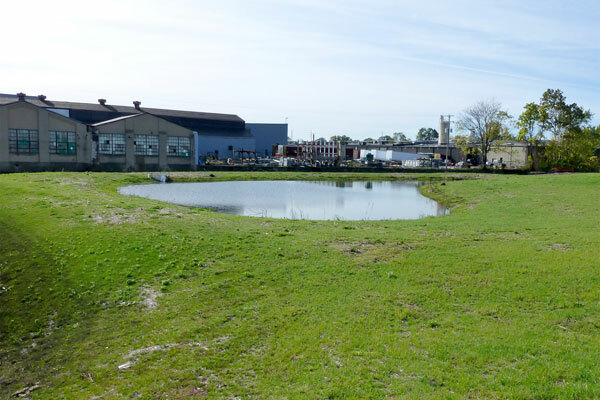 Helped divert stormwater runoff to offset an adjacent project adverse impact to Asylum Lake’s ecosystem. 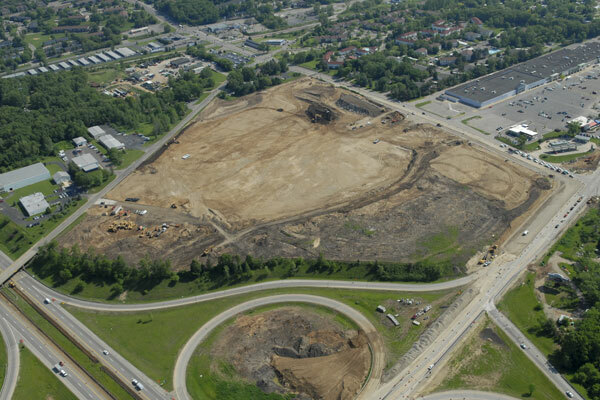 500’ long, 10’ high, quarry cut, gravity rock retaining wall, that has become the landmark of the development. 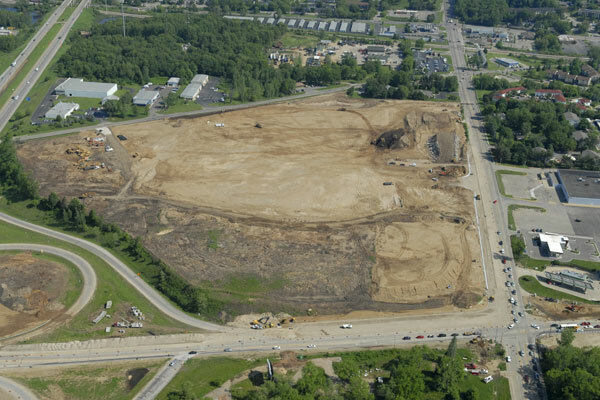 Coordinated work with City of Kalamazoo Drake Rd project and MDOT US-131 & Stadium Dr. project. 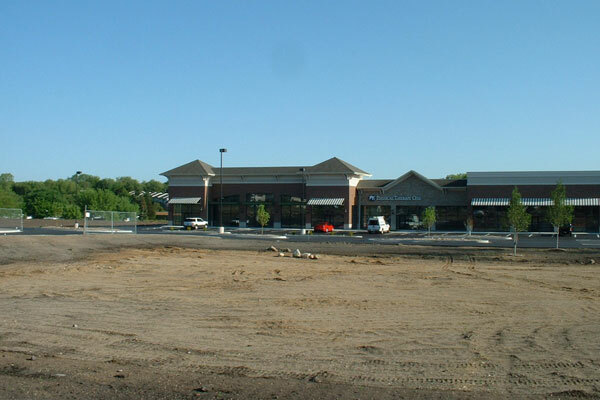 Relocation and installation of new sanitary and water main. 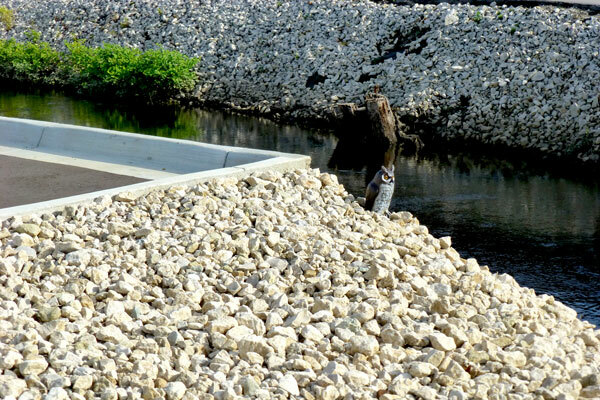 Elaborate septic design to handle oil laden carwash runoff. 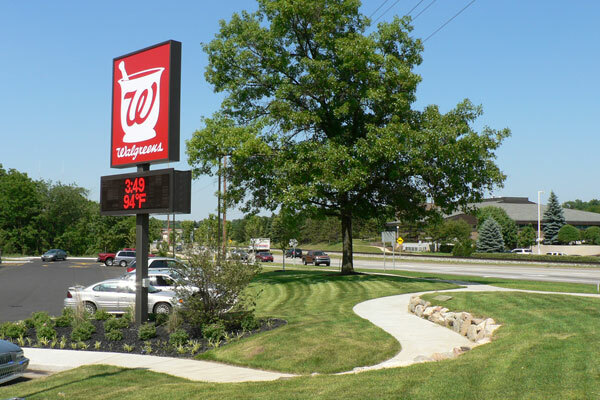 Analyze and design raised vehicle display for optimal view from roadways. 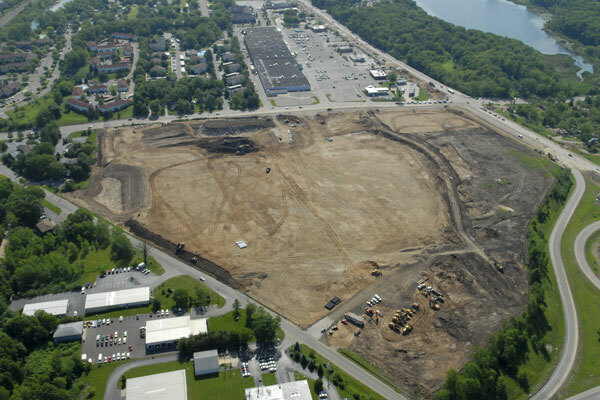 Earthwork balancing to accommodate 3’ of topsoil over entire site. 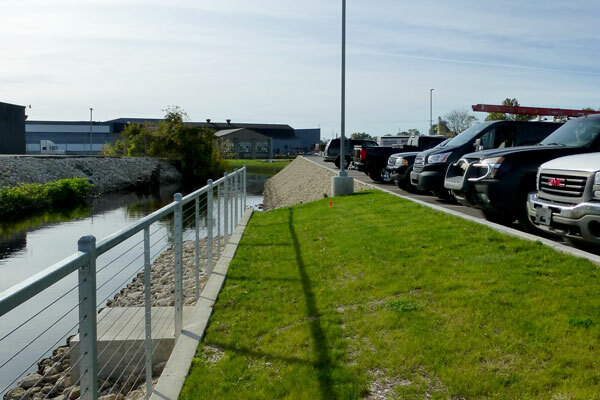 Extensive retaining wall design to expand vehicle display area. 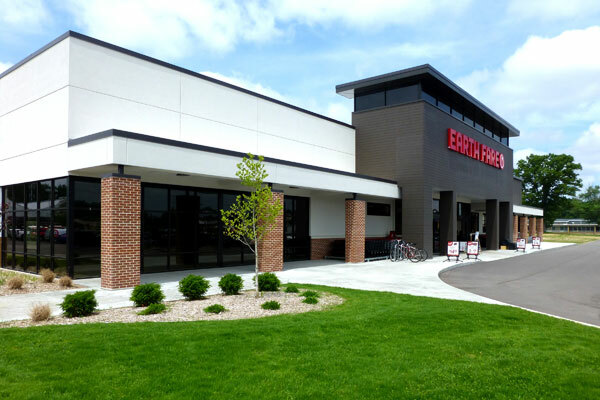 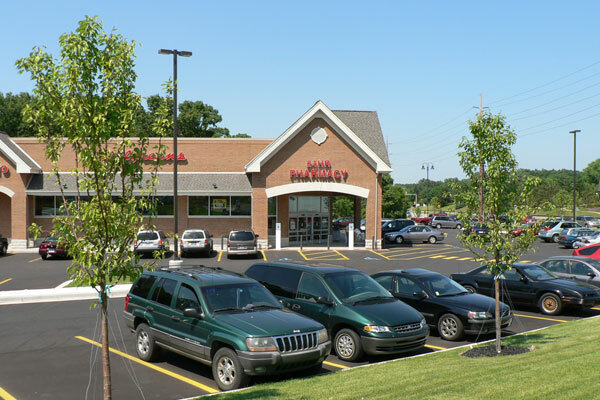 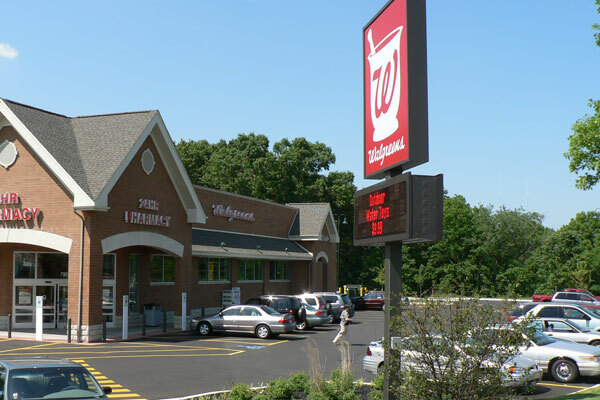 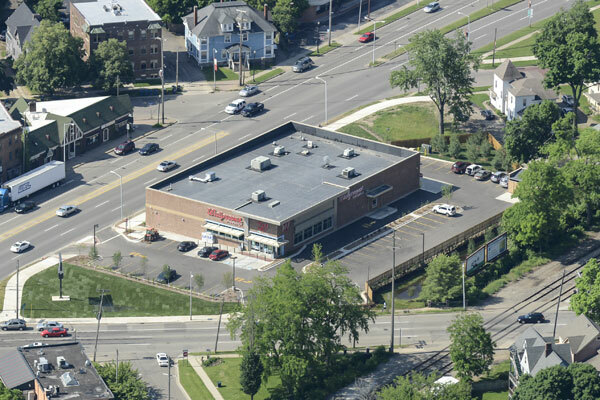 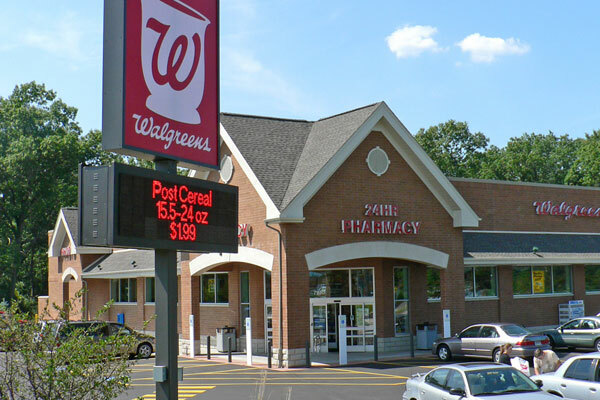 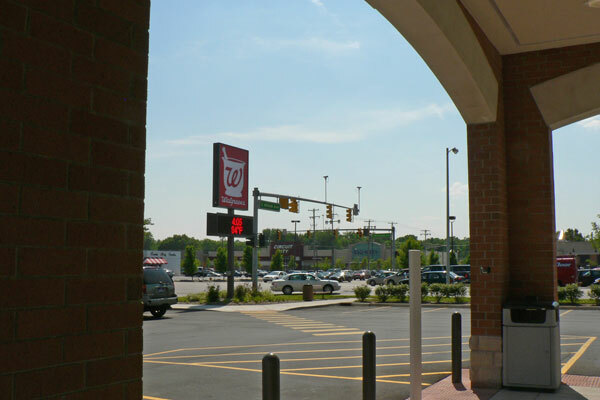 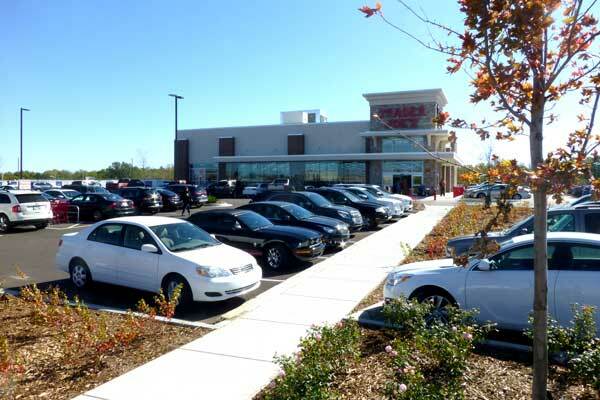 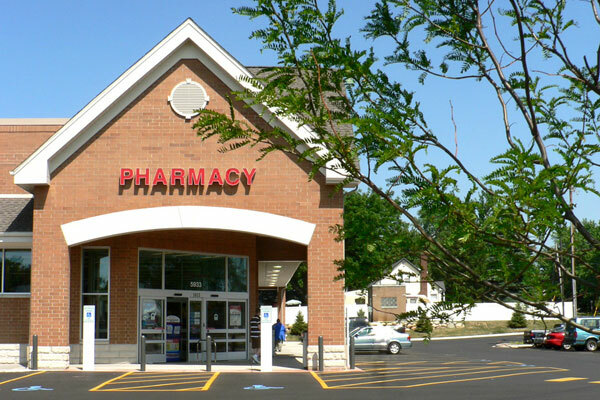 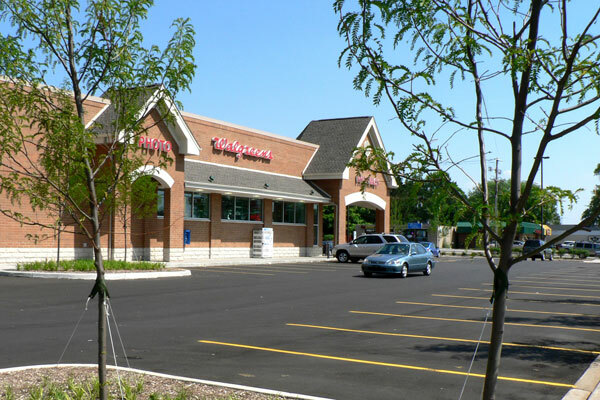 Worked closely with developer, land owner and Walgreens Corporate to comply with strict standards. 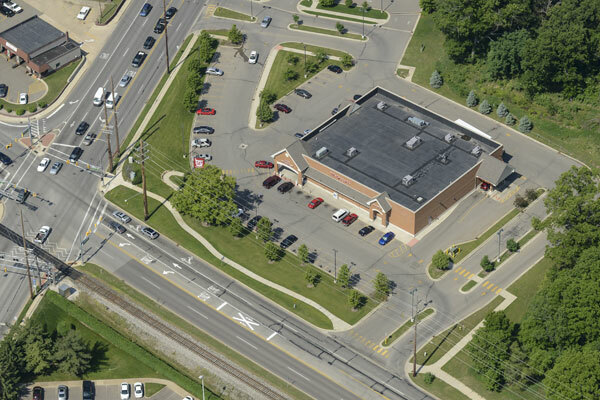 Several projects required unique approaches to construct the drive thru and fit with the existing topography. 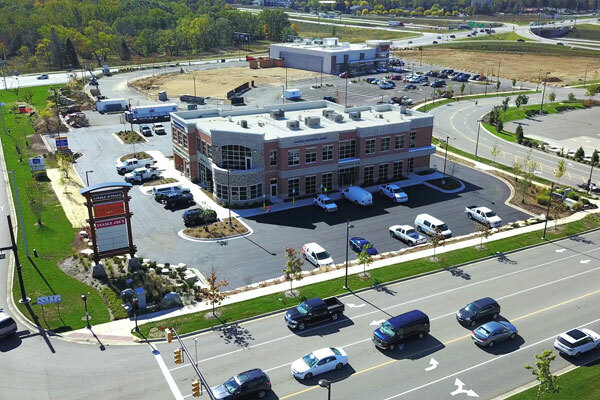 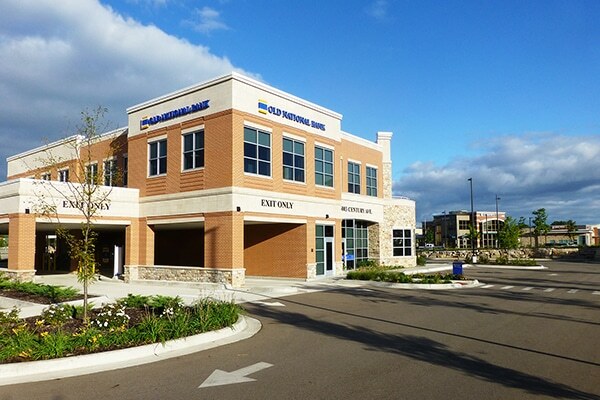 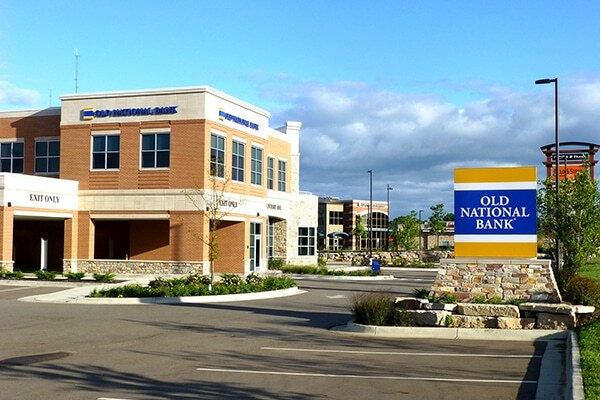 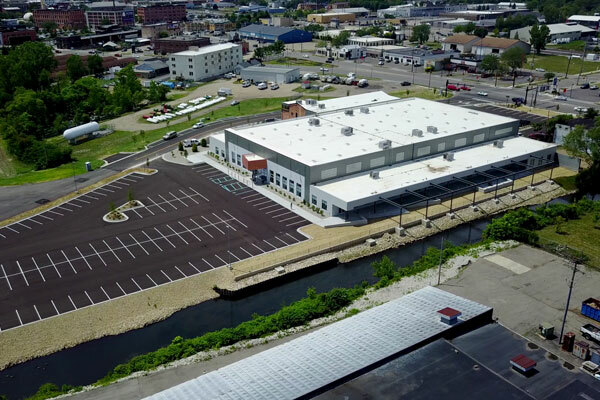 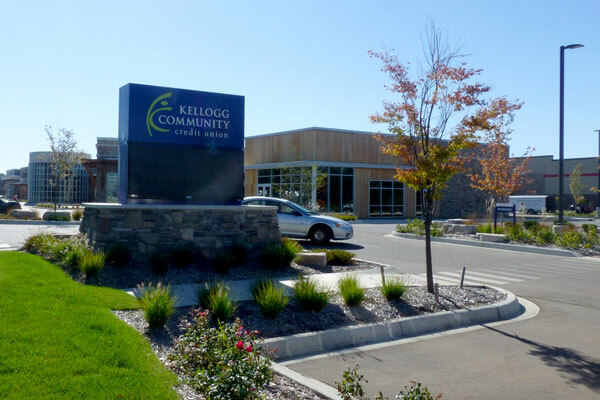 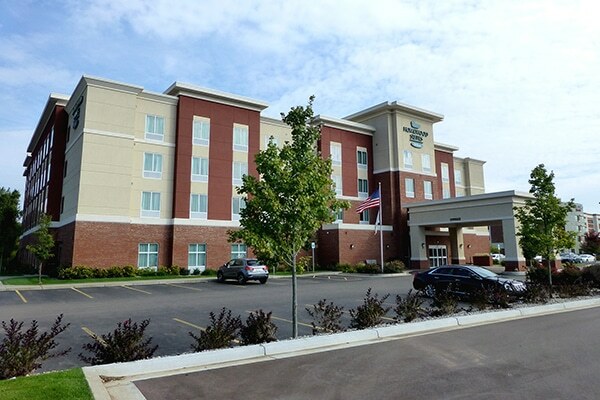 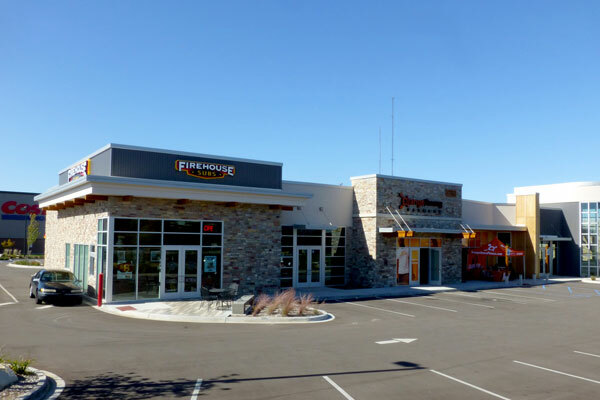 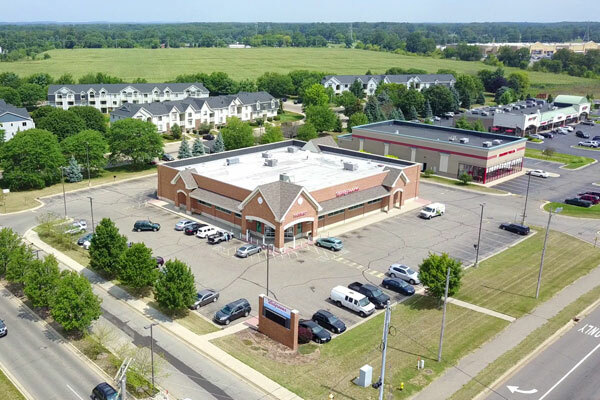 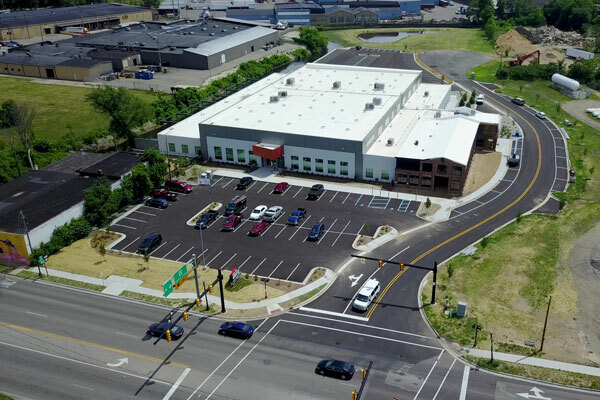 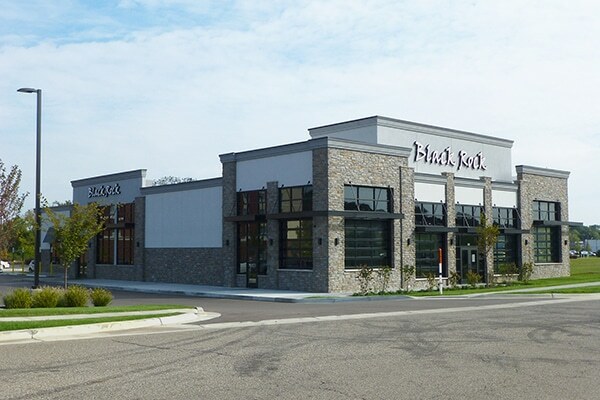 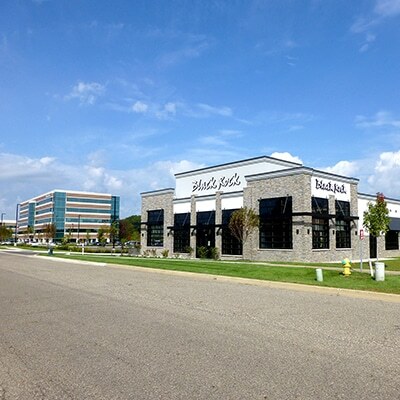 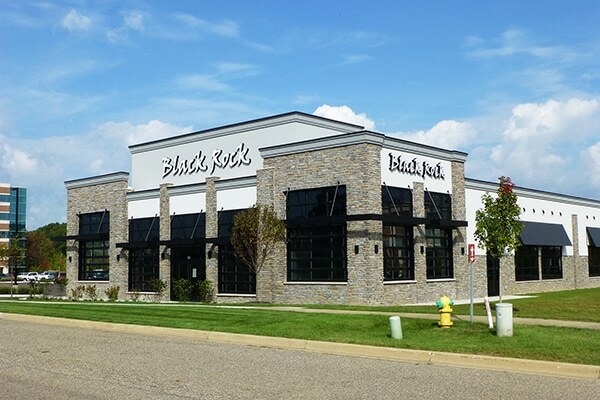 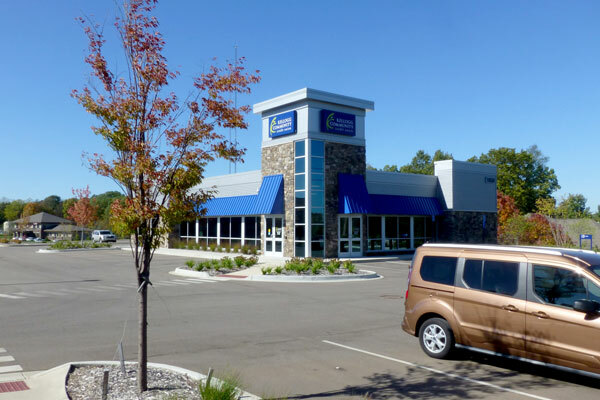 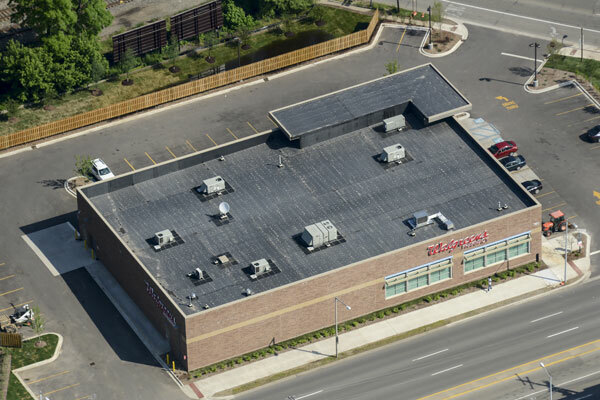 Downtown Kalamazoo project was built in the 100-yr floodplain requiring a floodplain permit and an elevated building that was carefully graded to met ADA and Walgreens requirements. 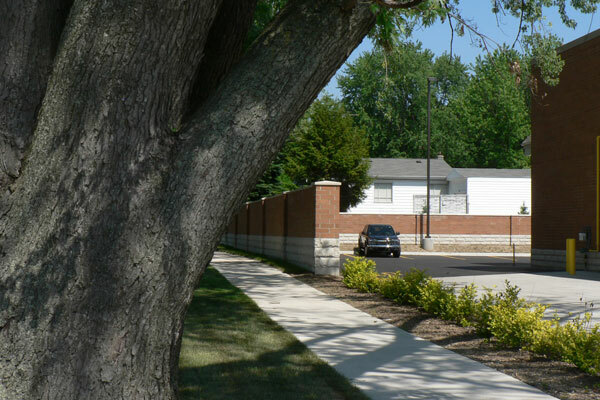 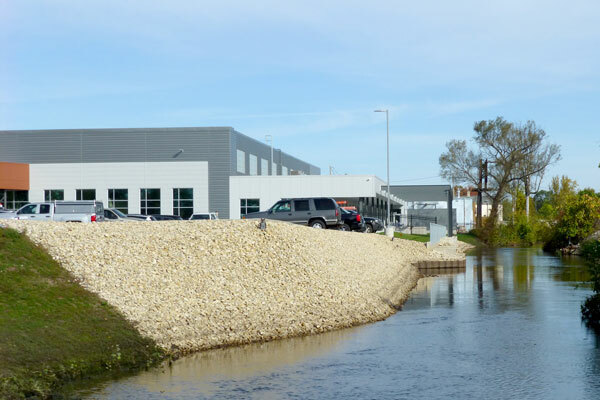 Paw Paw project was built in a 30’ fill area requiring settlement plates and carefully planned retaining walls. 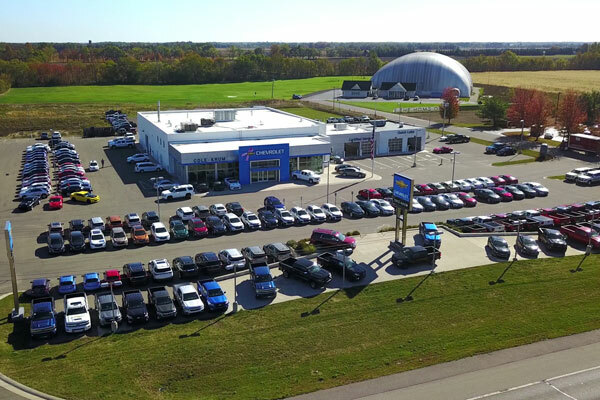 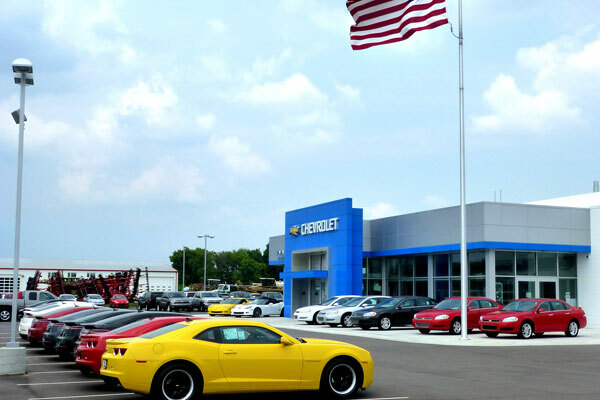 Worked closely with owner and construction manager to upgrade and expand the new and used vehicle requirements of Toyota, Jaguar, and Fiat. 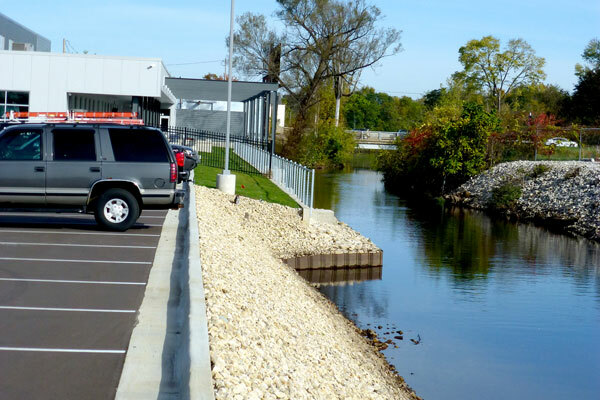 Expansion required a retention basin that has a 600’ long 8’ tall wall to enable the project size to work. 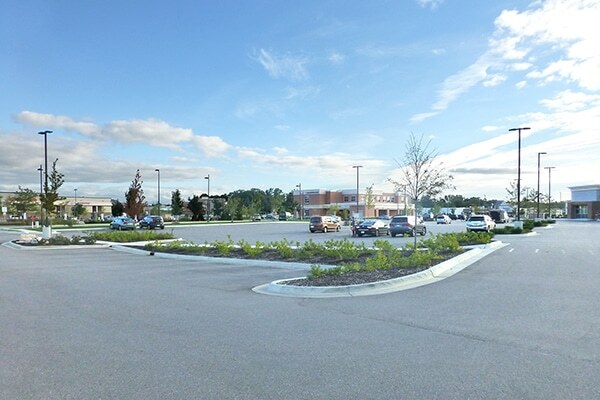 Performed several parking layout studies to maximize inventory parking and allow Semi Trailer movements throughout the site. 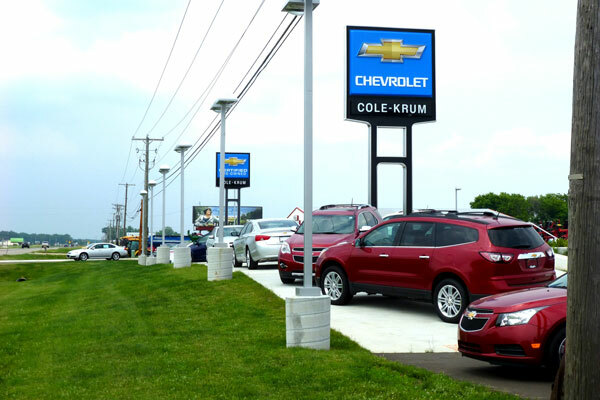 Designed elevated display pads and a new way pointing to funnel customers to the front door. 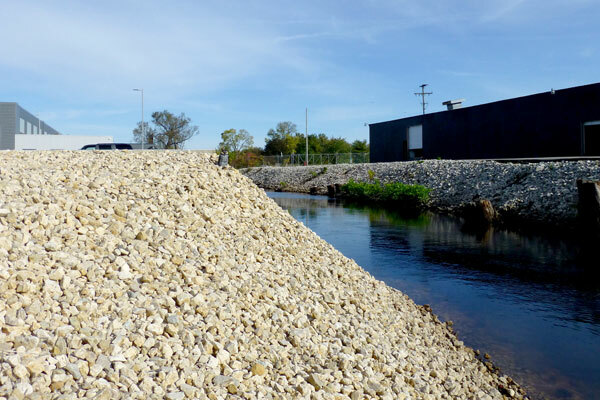 Utilized sandy soils to treat and infiltrate the stormwater thruout the project. 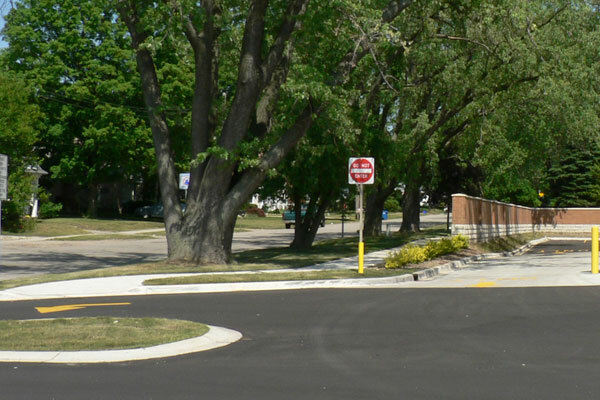 Negotiated driveway locations with MDOT along M-43(Gull Road) and an interior access plan to make the project safe for the busy corridor. 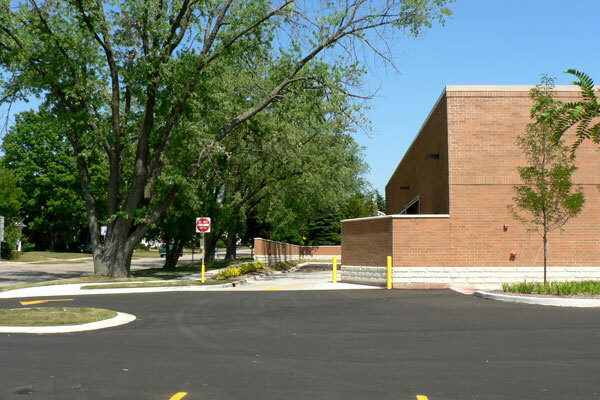 Master plan included multiple configurations that the planned infrastructure was required to accommodate.